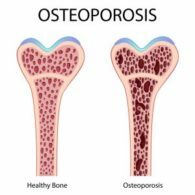 World Osteoporosis Day Is October 20, and I want to give you some tips, including some you never thought of, to avoid becoming a Hong Kong senior who suffers. Most people are not fully aware of alcohol disease risks. Knowing the consequences can help you rethink drinking frequently, or in large amounts.